Burr & Forman Atlanta Partner Jennifer Moseley was named again to EB-5 Investors Magazine’s “Top 15 Corporate Attorneys” 2018 list for the second year in a row. Moseley was first listed to the publication’s “Top 15” in 2017. The publication recognizes a select group of attorneys each year for their work in areas including corporate, immigration and securities law. EB-5 attorney rankings are selected through a careful process of EB-5 community member votes, input from the publication’s editorial board and analysis from an in-house team. Candidates are evaluated based on their experience in the EB-5 industry, their track record and their reputation within the field. Jennifer is a Partner in the firm’s Corporate & Tax practice group where she counsels public and private companies in a number of compliance and transactional matters. 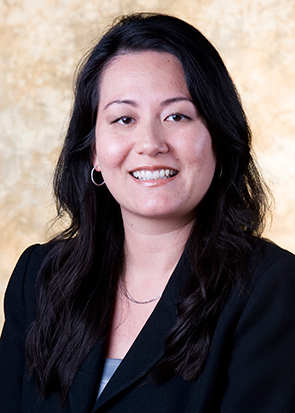 She is also experienced in EB-5 regional center formation, structuring and securities offering matters, as well as working with companies who seek investment in connection with the EB-5 visa regional center program under U.S. Citizenship and Immigration Services (USCIS) rules and regulations. EB5 Investors Magazine strives to deliver compelling and comprehensive articles and information for everything EB-5 related. EB5 Investors magazine provides a platform for skilled EB-5 professionals to discuss pressing matters and keep readers up to date on the constantly changing laws and legislation pertaining to EB-5. Each of the publication’s articles is peer-reviewed and provides high-quality objective analysis to an audience of attorneys, EB-5 regional centers, migration agents, wealth managers, and EB-5 service providers.